Copy of your insurance card. List of medications you’re currently taking. For prescription renewals, please have your pharmacy call the office during our office hours. Please do not wait until you are out of medication to call, as it may take us some time to process your request. On call doctor available 24 hours/day – 7 days/week. After hours coverage for emergency services only. Non-emergent messages can be left with the office voice mail for the next business day. 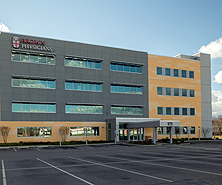 The Brown Medicine Patient Center is accessible by car and public transportation. 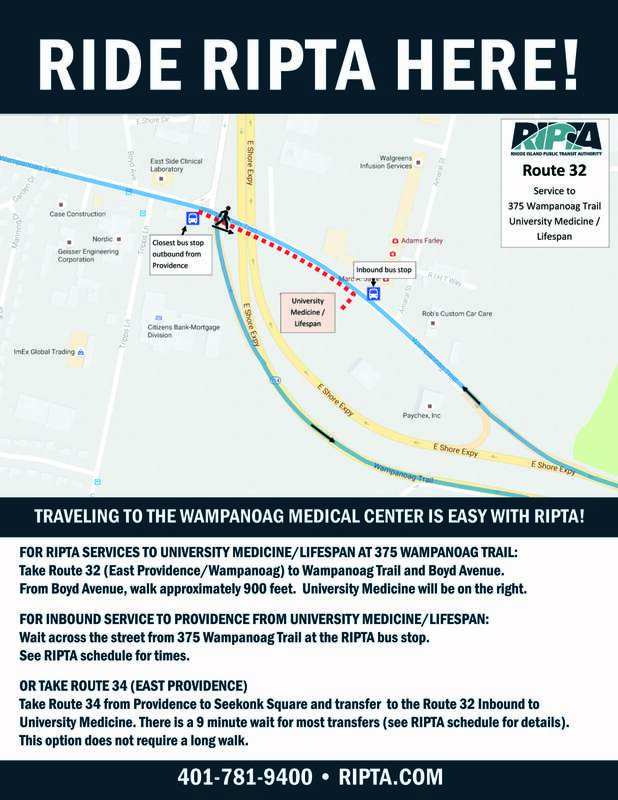 To reach our location using public transportation please see the details below which have been furnished by RIPTA. If you have any questions regarding how to reach us via public transportation please contact RIPTA directly at 401-781-9400 or at www.ripta.com. Board the 34 bus to Seekonk Square. Once at Seekonk Square, switch to the number 32 bus. The 32 bus will drop people off at the bus stop across the street from our facility. Additional directions can be found here. If you’re driving to our location; please click on the marker below for door-to-door directions to our office, we have plenty of free parking on site. For a detailed set of driving directions, please click here. The Brown Physicians Patient Center houses an on-site Lifespan Lab for our patient's convenience. The Brown Physicians Patient Center houses an on-site Lifespan Medical Imaging office for our patient's convenience. Brown Medicine is a non-profit, academic, multi-specialty medical group with practices in Providence, RI and its surrounding communities. Patients are our priority. Our mission is to provide high-level patient care, advance medical knowledge and science and develop cures. Our culture promotes constant learning, which transfers across all staff members and to the physicians we train. © Brown Medicine | All rights reserved.